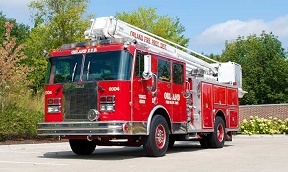 The Orland Fire Protection District responded to an automatic fire alarm at the Red Robin Gourmet Burgers restaurant at 15503 South La Grange Road in Orland Park on Saturday at approximately 4:30 pm. Advance information from witnesses reported a blazing roof fire. 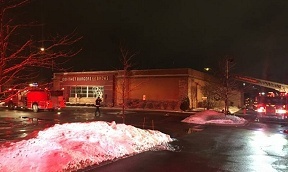 Upon arrival, firefighters confronted an actively burning fire on the roof of the restaurant with origins in the interior kitchen of the building which also sustained damage. An evacuation of customers and employees was in progress as firefighters arrived to extinguish the fire. No injuries were reported. The cause of the fire is under investigation. Damage to the structure is estimated to be in excess of $100,000.